How can you tell if your tickets are fake or real? There are so many dodgy sites out there just waiting to rip you off that the whole online purchasing thing can become quite the headache. BUT, this is where STAR (and their multi-purpose acronyms) come to the rescue, with full on superman-studded cloaks. STAR is the Society of Ticket Agents & Retailers, and is there to help you buy Secure Tickets from Authorised Retailers. 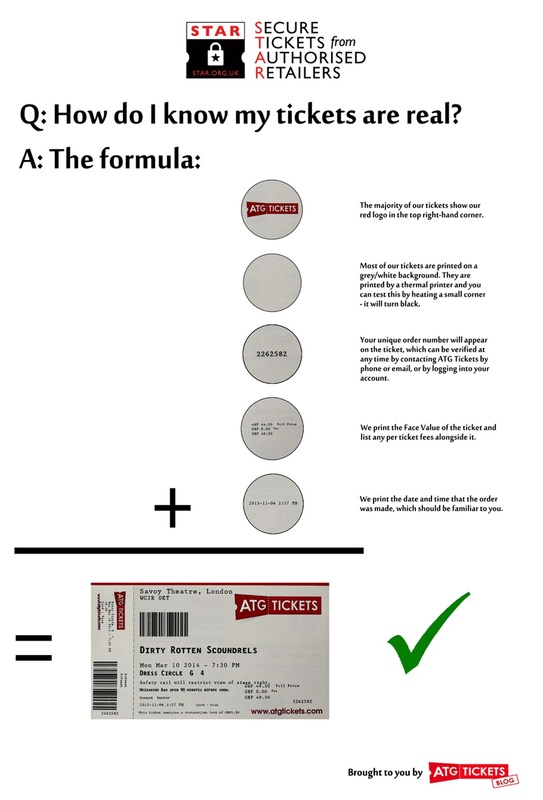 Check out the nice little infographic we've made up for you to help you check that your ATG tickets are bona fide, legit, the real deal. But basically, book through this website, cos we're the box office for 40 of the theatres we sell tickets for, and totes legit for the rest, so we're safe as safe can be.